Four people were killed in a head-on collision involving a passenger car and a big rig in Riverside County earlier this week. Three were pronounced dead at the scene and the fourth pronounced dead after being brought to Desert Regional Medical Center in Palm Springs for medical treatment. The driver of the passenger vehicle appears to have veered into the northbound lane, for unknown reasons, and collided with the tractor trailer. The big rig driver was uninjured in the crash according to CHP officials. The accident occurred on the two lane Highway 177 east of Joshua Tree National Park. CHP officers and firefighters from Riverside County Fire department and Cal/Fire Riverside were deployed to the scene. Investigations thus far suggest that neither alcohol nor drugs were a factor with either driver. The crash also caused approximately 120 gallons of fuel to spill from the truck onto the side of the road. The coroner’s office released further details identifying the victims of the crash. Two of the individuals were girl’s soccer coaches at Ruben S. Ayala High School in Chino Hills. School officials announced that grief counselors were available to speak to students and others in the school system, and a private vigil was held later that day. The crash remains under further investigation. Trucking accidents can be very complicated and many firms in Los Angeles may not be prepared to deal with the myriad complexities that may arise during litigation. 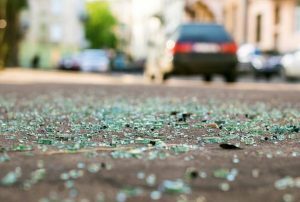 In the wake of a truck accident, the driver can be held legally responsible if his or her behavior was the cause of the collision. The legal team of Ellis Injury Law has obtained more than $100 million in verdicts and settlements in favor of our clients and our superior network of experts are ready to begin work your case right away. Call today for a free legal evaluation. Find more information on Ellis Injury Law’s team of Los Angeles truck accident attorneys call 310-641-3335.